1 of 3 Combine 1/4 cup water, 2 tablespoons of the soy sauce, the mirin, ginger, sugar and garlic in a small saucepan. 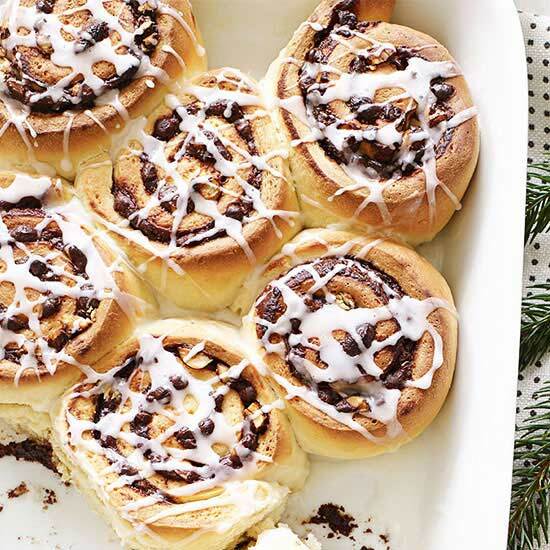 Bring to a boil over medium-high heat. Stir together remaining tablespoon soy sauce and cornstarch, then stir into saucepan. Cook for 3 minutes over medium heat or until thickened. Divide sauce into two separate bowls, 5 tablespoons in one bowl and 3 tablespoons in the other. 2 of 3 Prepare grill with medium-hot coals or heat gas grill to medium-high. Brush cut-side of bok choy with about half of the 5 tablespoons of sauce and place cut-side down on grill. Cook for 4 to 5 minutes per side, brushing often with sauce. 3 of 3 Meanwhile, place tuna on grill and brush with about half of the 3 tablespoons of sauce from second bowl. Cook about 4 minutes per side, constantly brushing with sauce. 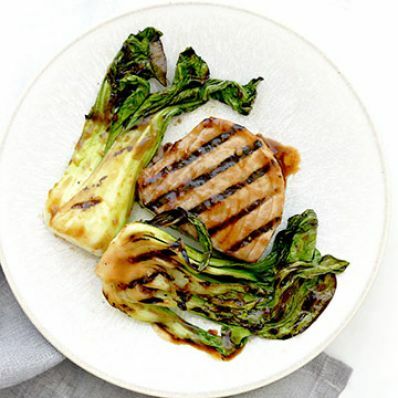 Remove bok choy and tuna from grill and serve immediately. Per Serving: 30 g pro., 14 g carb., 609 mg sodium, 238 kcal cal., 2 g fiber, 1 g sat. fat, 6 g Fat, total, 43 mg chol.